I see that a man named Sessions, apparently Washington’s Attorney General, threatens to unleash the coercive powers of the federal government against the state of Colorado, his reason being that he does not like the state’s policy with regard to marijuana. This is most curious. Why he believes the policies of Colorado to be his concern is not clear. Equally mysterious is why he thinks the police of Colorado should arrest Coloradans for doing a thing that the people of the state have determined to be acceptable. Mr. Session’s expansive view of his importance in the universe is seen again in his menacing of the state of California because he does not approve its policy toward its immigrants. Common sense suggests that if he does not like California’s policies, he should live in another state. I am sure this would suit California well. What justification does this feral busybody have for meddling in what is not his business? Mr. Sessions wraps himself in the Constitution and, thus emparchmented, asserts that the Supremacy Clause gives him the authority to overrule the states. Reasonable men may disagree on this matter. I assert that the states have no duty to observe the Constitution since the federals do not. As one instance among many, the Constitution ordains that the country shall not go to war without a declaration from the Congress. In fact the federals make war constantly with neither a declaration nor any reference to the will of people, draining their substance for purposes which are not theirs. If the Constitution is not binding on the central government, it is not binding on the states. In any event the federals do not represent the people of the country. How many of us in the various states want to spend trillions on distant wars at the command–for that is what it is–of Israel, the petroleum industry, and Empire? Yet we have no choice. The question of states rights is today seen, or inculcated, as the fantasy of romantic conservatives remembering a world that never was. In truth, states rights are our only bulwark against tyranny. It is the amalgamation of undeserved powers in the hands of the federals that accounts for the country’s tribulations both within and without. Just so. Is this not what we see? When a single remote legislature controls a continent, then a small group wishing to dominate the whole need suborn only a few hundred members of its Congress and a few judges on its Supreme Court. By corrupting one city, they can impose any law they choose on all. That the people of many states find the law odious matters little as they can do nothing about it. If however the people of each state made their own laws, the small group in New York would have to purchase fifty legislatures, each being under the scrutiny of the people of the state. The more local the government, the more responsive to the will of the governed. It would not be possible to establish a uniform despotism. 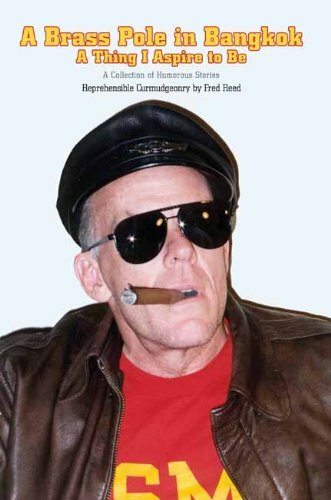 A Brass Pole in Bangkok Fred Reed Check Amazon for Pricing. This despotism is what we now have, and it worsens. Today the federals dictate every aspect of our lives with no regard for those suffering the dictation. They determine what we may teach our children in the schools, what sexual practices must be preached to those children, what religious observances are allowed us. If they decide that ten thousand Papua New Guineans in loincloths must settle upon our towns, then settle they must. They decide what statues we may have, how our world was created, who may use our bathrooms. They decide, these remote people who names we often do not know, of loyalties and faiths and beliefs many of us find distasteful, with whom we must make war. How may we of the various states rid ourselves of such noxious influences from afar? By what right? Now I am just a countryman of no great learning in governance. Yet it seems to me that when in the course of human events it becomes necessary for one people to dissolve the political bands which have connected them with another and to assume among the powers of the earth, the separate and equal station to which the Laws of Nature and of Nature’s God entitle them, a decent respect to the opinions of mankind requires that they should declare the causes which impel them to the separation. I believe that the causes of separation have been sufficiently enumerated in the foregoing. The question is how to achieve the separation. There is no prospect of escape by armed rebellion. The federals control the army, and history has shown that soldiers will as soon kill their fellow citizens as any other. 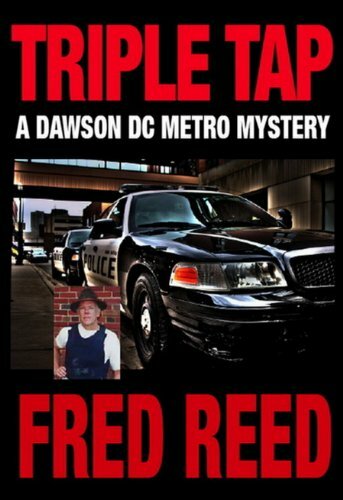 Triple Tap (A Dawson D... Fred Reed Check Amazon for Pricing. A more fruitful, if gradual, path to freedom is to ignore the strictures of intrusive federals, to engage in passive resistance. 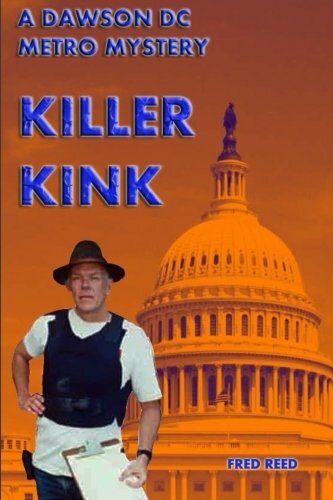 Washington does not have the manpower to enforce alien laws upon the entire nation. We see the beginnings of this laudable disentanglement in the seven states that have made legal the use of marijuana. Should these states remain resolute, and refuse to allow their police to be used as Quisling Pinkertons against their citizenry, they may well prevail. The avowed resistance of the government of California to the imposition of laws alien to it is perhaps as important as the battle of Yorktown. As goes California, so goes the nation. In a country deeply at odds with itself the best course may be separation, first of laws, then of administration, and finally of sovereignty. It need not be an uneven fight. As Washington can withhold federal funds from the states, so can the states withhold taxes from the federals, as California has threatened. America seems overlarge. Perhaps the parts should go their separate ways. If the federals had to pay for their own wars, there would be no wars. General Lee was right.